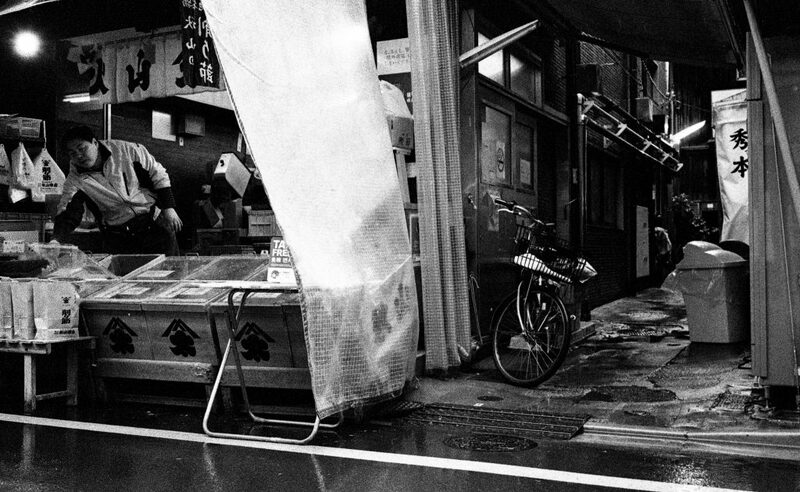 The other day, I was shooting in Tokyo’s Tsukiji outer market on a dark and drizzly morning. Not only was it overcast, but I was shooting in the shadows of buildings, so ISO 400 speed just wasn’t going to cut it, to say nothing of ISO 100! What I really needed was ISO 6400. Now I could use a digital camera for low-light performance, but why? 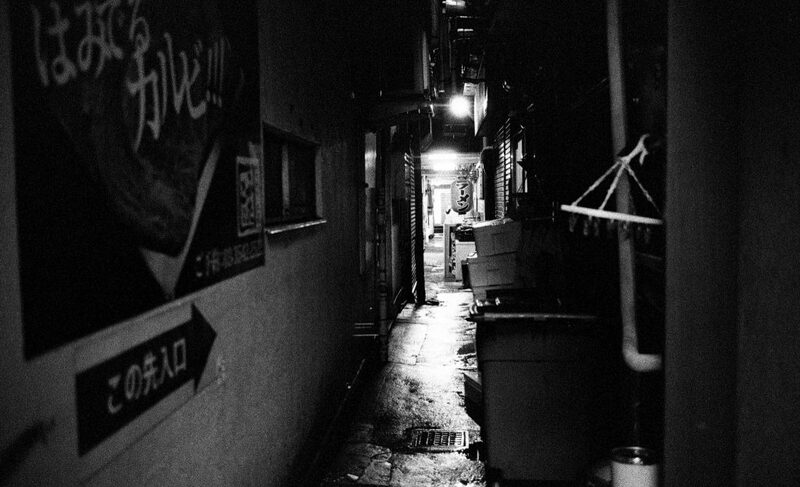 My Leica M3 outperforms most digital cameras in low light—but only if I do things right. By “right,” I mean the right film processed in the right way with the right developer, and that means “pushing.” For the uninitiated, “push processing” allows you to shoot film at a higher ISO than what is indicated on the box, and still get properly exposed results. 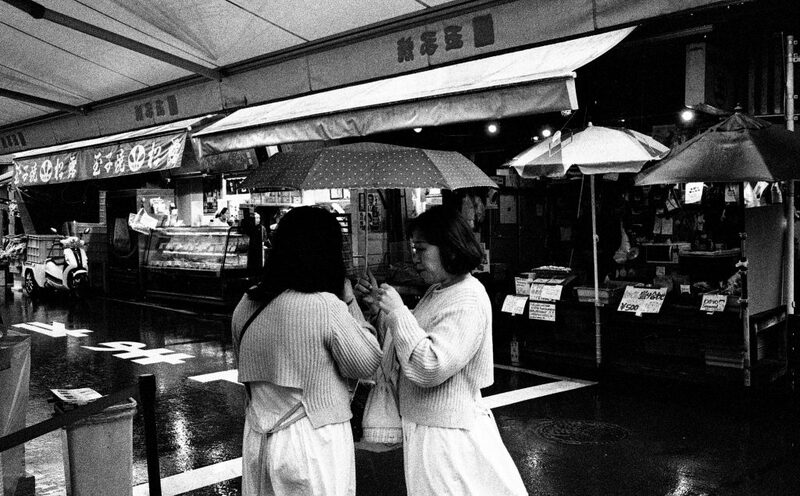 For example, I typically shoot T-MAX 100 film and underexpose about three stops. That’s equivalent to shooting at ISO 800 rather than the box speed of ISO 100. Push processing is easy to do at home, if you know what you are doing, and most labs will do it for you, if you ask nicely. Kodak T-MAX films and T-MAX developer are specifically made for push processing—up to three stops according to Kodak’s guidelines. So that means you can shoot T-MAX100 at up to EI800, T-MAX 400 at up to EI3200, and T-MAX P3200 at up to—wait for it—EI25,000! Yes, that’s right. Kodak T-MAX P3200 in combination with T-MAX Developer has superior low-light performance than all but a select few high-end digital cameras on the market today. So why on Earth would I want to use a digital camera in low light when my Leica M3 can do a better job, and is certainly more enjoyable to use than any plasticky digital camera—at least in my opinion! Don’t believe me? Below are five frames shot on Kodak T-MAX P3200 pushed to ISO 6400. I used my Leica M3 with a first generation Summicron 35 f/2. I attached a Leica 12585H lens hood of same era just to keep rain drops off the lens filter. That is superb low-light performance! Great article and photos. Makes me really miss my father’s old M3. Go out and get yourself an M3! No reason not to! That’s a 35mm Summicron in the photo, no? The photos also look to me like they were taken with a 35mm rather than 50mm focal length, but I could be mistaken. It is a 35mm Summicron. No, you are not mistaken. 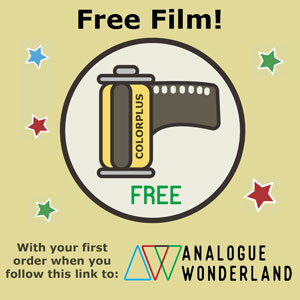 It is a 35mm. The error was in the title, and I have fixed it. Thanks! Steven, I guess you have looked at tmax 400 pushed 3 to 3200. Similar to tmax 3200 no push ? Lens shown is a 35. By 1st gen 50 you mean the collapsible 50? I have pushed T-Max 400 to 3200, but it looks nothing like T-Max P3200. T-Max 400 has visibly finer grain. The lens is a first generation 35mm Summicron made for the M3 with attached optics. The optics covert the finder, whose widest frame on the M3 is 50mm, to a 35mm finder. The same optics will work on any Leica M excluding the M10, and will choose the 50mm finder. Yes, it can be done. There appears to be some highly experienced going on between the shadows and highlights and a very competent technician involved in the developing. We forget that this kind of magic was once a daily performance by press photographers and their labs. Actually, that “highly competent technician” is me! So, thank you! Apart from the developing, I also modified the tone by applying a slight s-curve in Lightroom after scanning. But again, do not take me wrong I enjoyed reading you and I want to thank you for sharing. I shoot cameras I love because of how they make me feel, not because of what they can do. Shooting the Leica M3 makes me feel a way that none of the other cameras you mentioned can. Nonetheless, I think you’re right. 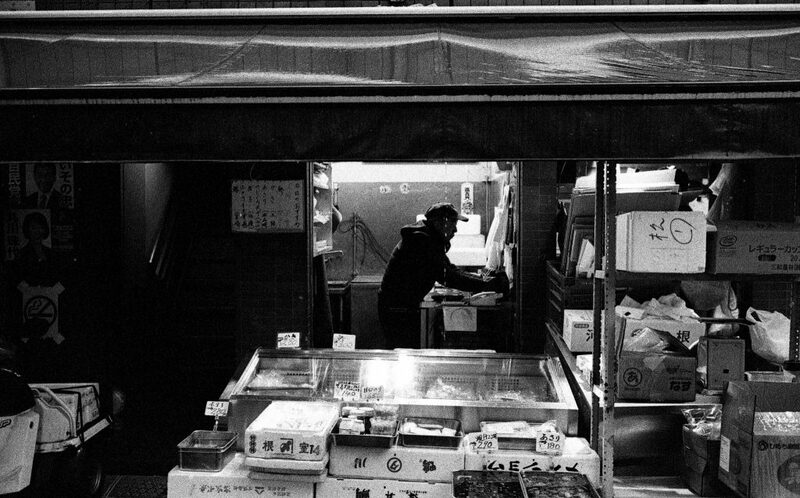 You could get excellent results with T-Max P3200 on just about any film camera featured on 35mmc. I have shot with a Ricoh GR1s, and the results are just as stunning. It’s the film that counts. And yes, I have a Leica M240 that can shoot at 6400, but no higher, and frankly, while the images are acceptable, I still prefer the look of the T-Max P3200 film. The other cameras you mentioned all have good high ISO performance–some of the them excellent–the least expensive among them being the Fujis, whose low-light performance at 6400 is inferior to T-Max P3200 in my opinion. The X-E3 maxes out at 6400, I believe. 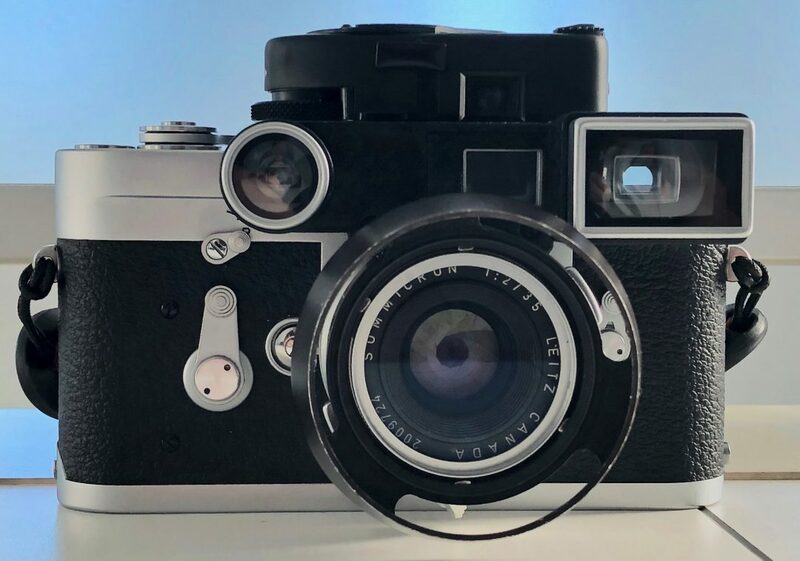 The other cameras you mentioned, while all also wonderful, are all also thousands of dollars more costly than an overhauled M3 kit, even one in great condition–and none of the Leica analogue M’s decline in value over time or become obsolete! As long as there is still 35mm film, the Leica M3 will always feel as fresh as it did in 1954. And then, there is serviceability. I don’t think any of the cameras you mentioned will survive sixty years. My Leica M3 was manufactured before I was born, and I am probably older than most of the readers of 35mmc, and it will still be functional for my son long after I am gone. @BC: I agree that low light performance is mostly about the film (or the sensor in case of digital cameras), but the M3 is very easy to focus in low light because of the large, bright viewfinder. Objectively easier than almost any other film camera (but whether it’s easier than digital is a different, more complicated question). 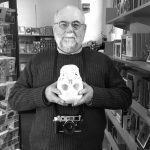 The fact that we are debating whether a sixty-year-old Leica M3 can hold its own against a contemporary digital camera says something about the Leica. Yes SROYON but so do M4s, M5s, M6s, Contaxes, Mamiya Ms, and recently Fuji X Pros and X100s. And as for focusing accuracy how many people have their range-finders checked for accuracy on a regular basis? It is no chance that the majority of professionals for whom efficiency matters have moved toward AF systems (which does not mean I do not enjoy manual focusing but we are talking about performance here). Best. I own a Fuji X100-T and a Sony a6000. Frankly, I find both their focussing slow and inaccurate (the camera frequently chooses the wrong subject if I don’t override its AI). 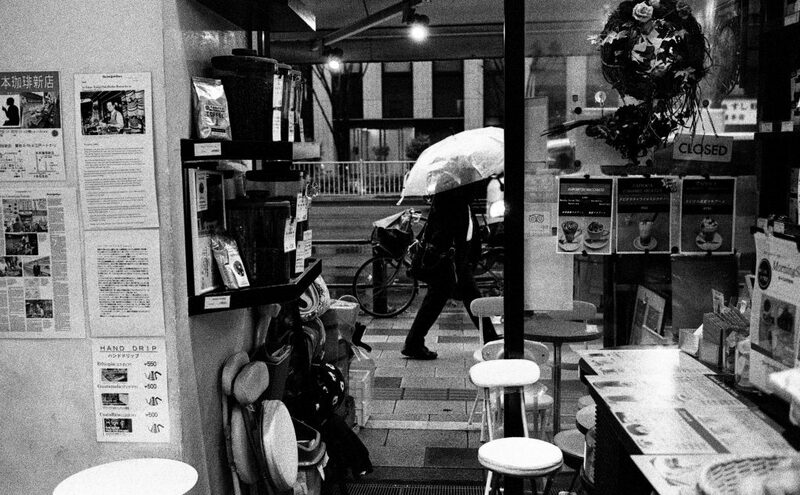 I am far faster and more precise with my Leica, particularly in street photography, where speed can be critical. If I remain aware of my environment, neither autofocus nor autoexposure improves my speed. They both slow me down. I had no trouble. What else could possibly matter? Hi Steve, the XE3 maxes out at 12800 ISO in fact as it is equipped with the same sensor as the X-pro 2. As for the pleasure of photographing including the feel and pleasure of using a particular camera, I could not agree more. But as a result it is personal and subjective. That the M3 is the best camera for you is fair (it is the one you own and use, then it makes sense) to turn the personal assessment into general truth is a big step. 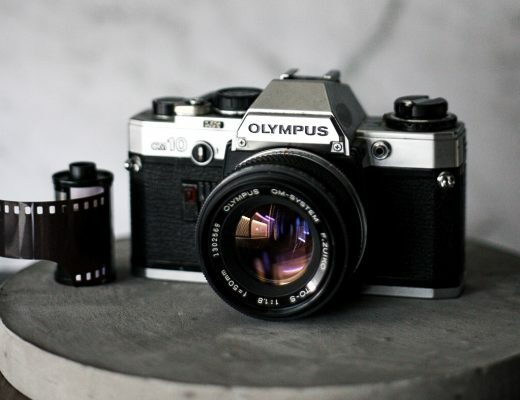 Personally I value an M2 over an M3 (and speaking of $, it is a cheaper camera), and my favourite M is the M6. This for simple reasons: the M2 and M6 have a 35 mm frame-lines included in the viewfinder, the M3 does not and the 35 mm Summicron is my lens of choice. The M6 has a rewind crank that makes rewinding film much faster, more convenient and less painful and frustrating. It is also a modern camera with a better shutter (even TTL flash metering for the latest version but I cannot say I care for that). For the 35 mm frame-line and the rewind crank I would choose any M4 model before I touched an M3. In terms of cost and decline in value the price of Leicas tends to fluctuate (it has definitely done that in the past year) and they do that like good cars : one loses a lot of money when buying them new and selling them within the next 4-5 years (so yes they do decline in value, sharply so even, not a real smart investment there), after that, I agree with you, they do stabilize more than most cameras. But, and as a result Leicas of the 1970-2000 are far more expensive than a Nikon F2 (a all-mechanical workhorse) or an F3 (was my favourite Nikon camera in terms of feel (the smoothest film advance ever) along with the F4s that was a little heavy though). In terms of durability, Leica is not the only one on the line, I can name a few other examples of cameras that last if it is a point in the conversation (I thought it was T-Max 3200 and M3 ;o) : the Nikon S have survived for as long as the Ms (not cheap either when one contemplates an SP but cheaper for as far as S3s and S4s are concerned, the Nikons Fs, F2s, Nikkormats too. As for not becoming obsolete, it depends on the availability of parts and this may come to an end too. How many digital cameras do you still own and use from fifteen years ago? How many of them do their manufacturers still support and service? Not long ago, I was at the Leica shop in Ginza. A young woman came into the shop asking them to service her beloved D-Lux 6 she had bought ten years earlier, and had stopped working. The Leica technician told her the cameras were too old to be serviceable, and recommended she purchase the current D-Lux model instead, which is functionally inferior. She left absolutely bereft. Steven, these were dynamite and the read was refreshing. Thanks for giving and sharing. I’ve played around with the (P3200) but metered it at 800 when I was in northern Norway recently. Beautiful film (and I had it paired with my M3 + 50mm Sonnar). Lame or curious question – Did you meter these for 6400 when you were shooting or was that only where you pushed it to? Cheers. Not a lame question at all! I metered at 6400. I find that for T-Max P3200 and 400 exact exposure looks best whether pushing or not. T-Max 100 looks better when overexposed by about a half stop, even when pushing. So I’ll meter 650 but push process at 800. Hi Steve I will be in Tokyo from tomorrow the 14/4 to the 17/4 fancy a catch up in Tokyo? Well we don’t know each other but I have read enough of your posts so I thought as I Am in Tokyo why not have a coffee . 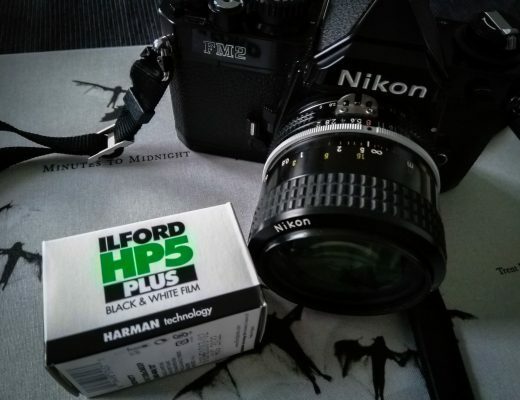 Great article I have all ready loaded my M3 and M6 with Ilford 500 but I’ve pushed one to 800 the other to 1600 looking to shoot neon lights and alley ways. Any way let me know . Leaving Negano tonight after seeing the Monkeys. I would love to shoot with you in Tokyo, but unfortunately I have an unusually packed week. I’m keynoting (in Japanese!) tomorrow for an event put on by the US consulate in Nagoya, and I leave for Paris Friday. I’ve committed other days to clients. Maybe next time, or whenever we find ourselves in the same city somewhere in the world. Keep in touch with me via Instagram. Ju8st some random thoughts strung together: As for the feel of the Leica in your hand; When I grab my M2 or M4P, I know these cameras are more capable of operating in circumstances or environments than I will ever subject them to. Just that knowledge gives you great confidence to push yourself a bit further. Another thing – when people see you with a Leica, they just don’t know what to make of you. My wife & I were in Florence a few years ago. We’d go into a museum and stand in line for security. A guard saw me, unclipped the rope barrier and motioned me in. I waited for my wife to pass through security. This happened twice. The second time, I asked why I was allowed to bypass security. The guard said to me that it was oblivious I was a serious photographer, and I needn’t to pass through the checkpoints. The guard said ‘you sir, use a Leica.’ I’m glad he never saw my work, he’d tell me I’m not worthy to carry such a camera and take it away from me! Back to the end of the line! This article has peaked my curiosity and I’m going to get some TMAX 3200 and play with it. Thanks for dangling the carrot in front of me. Already the little wheels are turning – what lens to use? Where can I shoot this stuff? If an M3, I would get any of the Summicron 50mm lenses first. Get 35mm with optics later, either the Summicron or the Summaron. Both superb. 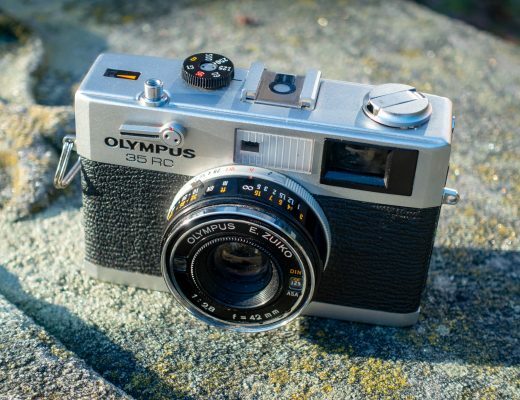 Hi Daniel, if you have an M2 and an M4P, you have an advantage (as far as I am concerned and I have used all M cameras) over the M3 as you can use a 35 mm on them without any cumbersome contraption. The 35 mm is the lens of choice for most street photographers (as well as Leica users) for various reasons : the most compact of M-lenses (Summicron), excellent quality of course, good view-angle which allows to be close, not too close (useful on a sidewalk, at home, in meeting places), fewer distortions than a 28 mm, good depth of field which allows for use of hyperfocal distance. And by the way Steven, the Fuji XE3 is equipped with the same sensor as the X Pro 2. Its maximum ISO is 12 800. If you have an M2 or an M4-P you are disadvantaged, as you are with every M camera other than the M3. See my 35mmc article on the M3 here. The 50mm finder of the M3 is superior to that of every other M. It is clearer, uncluttered and entirely visible, even with glasses. If you wear glasses, as I do, you will likely have trouble viewing the entire 35mm from of .72x finder of other M cameras. The M3 has a .91x magnification finder, greater than any other M. The focus patch is larger and easier to see. The M3 suffers from no finder flare like the M2, M4 (all of them), the M5, the M6, and the early M7s. The build quality of the M3 is superior to every subsequent M camera, including the current MP, M-A, M240, and M10. The M2 was a cost cutting version of the M3 when it was released. People with money, went for the M3. Leica cut costs ever further when making the M4-P.
AS mentioned above I use a 35 mm lens 80% of the time and I refuse to be dependent on a cumbersome not that precise contraption I would have to attach. As an addition to the reasoning here if it is not the lens that makes the picture, neither is it the camera. They are just tools that help our photography. The one that helps me is one with a 35 mm frame in its viewfinder, possibly 28 mm (15% of my images), and better, one with an integrated light-meter. So my M3 has been gathering dust since I got my M6 (30 years ago) which is my go-to camera simply because I use its 35 mm frame and light meter all the time and I have no problem at all with flare in my viewfinder, frankly I do not remember any time when it was a problem. I photograph almost everyday and have been doing that for a long time. To quote someone else, your best tool is the one that is with you and you work with. It may not be the best one ever but if it makes you work and enjoy your work that’s the one you need. On a final note, the “look” of a film is, I think we can agree with that, rather subjective unless we deal with scientific lab results and curves. The sensitivity at which we expose a roll of film is only one of the ingredients of its final “looks” the other one, as important, is in what developer it is processed and how it is processed (temperature, dilution, time, agitation). The best way to proceed might be to try different solutions, process our film ourselves, take notes and choose what works best for us and the type of photography (and prints) we want to produce (in fact something like good old Ansel “visualization” ;o). I do not think we can draw any definitive guideline on how to expose film without considering the above. No one ever scientifically checked the “curves” of a Cartier-Bresson photo to validate it does indeed look good. No great curves ever help a mediocre photo. ??? Who can argue with that? ;o) True Cartier-Bresson is Cartier-Bresson and a good photo is better than a mediocre one, so… ? By the way I do not remember HCB using T-Max 3200; as for good and bad photographs I have seen (and sometimes taken) both with T-Max 3200 or an M3, or an M6 for that matter. Your point? I’m curious, if you shot a modern grain (Ilford delta or Kodak’s T-grain) box speed 3200 on medium format we with a stand development, what is the potential, do you think? The medium formal would help the grain and the stand-development would counteract the increased contrast you get in pushing film. Have anyone done anything of the sort? Personally I only shoot in daylight but it would be interesting to see the quality you could get. Great read, I was in a situation where I’d forget the flash shoe for my Nikon F3, all I had was Ilford Delta 400, I was in a very low light bar environment a rare reggae vinyl night in South London, I did a few tests on the tube and realised if I whacked the iso to 6400, I’d at least be able to capture the event. Using Microphen stock and a developing time of 17.30, I had my fingers crossed, I was blown away by a few of the photos, such a brilliant smooth grain structure, I doubt if flash would have conveyed such an atmospheric look, so the aesthetic that can be achieved by pure experimentation is yet another joy of film photography. I never use a flash, for exactly what your wrote.